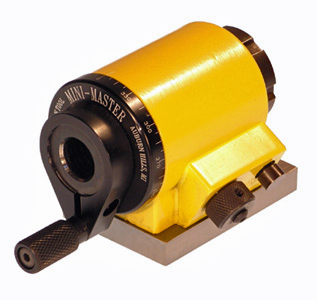 MINI-MASTER INDEX FIXTURES by Suburban Tool, Inc.
72 position index plate provides a hard stop every 5° ±15 arc seconds. 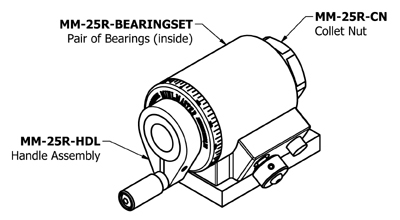 Uses standard ER-25 spring collets. 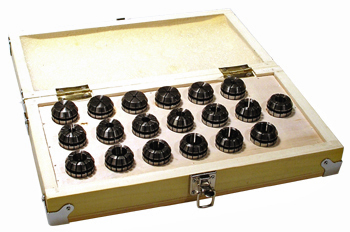 Spindle rides in preloaded ball bearings. 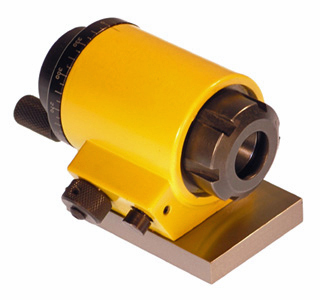 Maximum spindle runout is 0.0002" T.I.R. Low height is ideal for small machine set-ups. Fitted wooden case and collet wrench included.